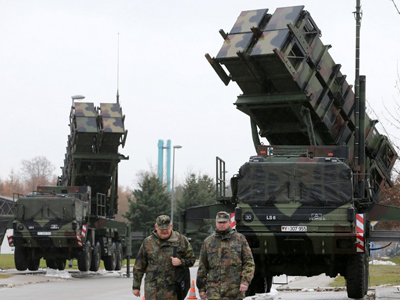 NATO foreign ministers have voted to approve Ankara’s request for Patriot missiles to be deployed on the Turkey-Syria border. 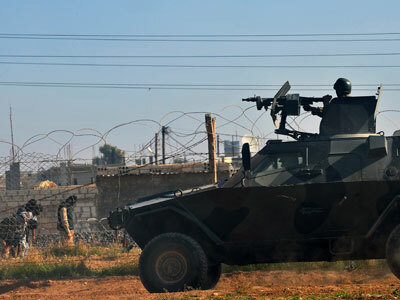 Ankara requested the deployment over fears that Syria could attack with missiles and chemical weapons. The Patriots can be used to intercept missiles and planes. Officials from the 28-member alliance meeting in Brussels have said that the US-made missiles will be for purely defensive purposes. "NATO’s position is clear. Any deployment would be to protect turkey. It would be purely defensive in nature. It will in no way support a no fly zone or any offensive operation," NATO Secretary General Anders Fogh Rasmussen said in a statement. “I believe that the deployment of patriot missiles will serve as an effective deterrence and therefore deescalate the situation along the Syrian-Turkish border,” Rasmussen continued. But some say the missiles won't be used for deterrence – and that a broader agenda may be in place. “A patriot missile is an attack weapon. It’s not a deterrent at all. Especially considering the Syrian army would never launch missiles across the border against Turkey because they know they’d be attacking a NATO ally,” Asia Times journalist Pepe Escobar told RT. 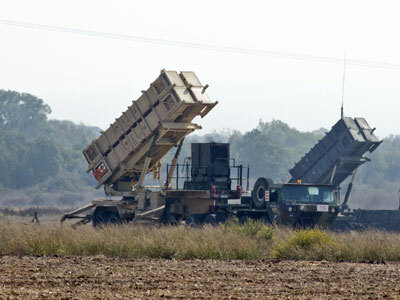 Military sources in Turkey told AFP that 300-400 foreign troops would be deployed to operate the Patriot missiles. NATO ministers have unanimously expressed "grave concern" about reports that the Syrian regime may be considering the use of chemical weapons. "Any such action would be completely unacceptable and a clear reach of international law," Rasmussen said. The NATO decision comes just one day after US President Barack Obama told Syrian President Bashar Assad not to use chemical weapons against his own people. "I want to make it absolutely clear to Assad and those under his command, the world is watching, the use of chemical weapons is and would be totally unacceptable," Obama said in a statement. "If you make the tragic mistake of using these weapons, there will be consequences and you will be held accountable," he said. But Escobar says Obama's statement was unnecessary and full of intimidation. “When Obama said to the Assad government, ‘our red line is chemical weapons,’ it was intimidation. [The US] knows that even a desperate Assad government would never use chemical weapons because the response would be overwhelming. It's the same thing with deploying patriot missiles at the border,” he said. Earlier on Tuesday, Russian Foreign Minister Sergey Lavrov said that while Russia recognized Turkey's right to ask for help from its NATO allies, Moscow is "concerned that the conflict is being increasingly militarized." During talks with Turkish Prime Minister Recep Tayyip Erdogan in Istanbul yesterday, Russian President Vladimir Putin noted that Patriot missiles could not guarantee safety. He said that accumulating weapons on the border with another country does not add to stability. Historian Gerald Horne told RT that NATO has not thought through the consequences of its actions.